Your home is one of the biggest investments you will ever make, so it's only natural to want to maintain its value. Our Dallas TX home builders construct homes that last, and we also do general contracting to extend the life of your existing home. 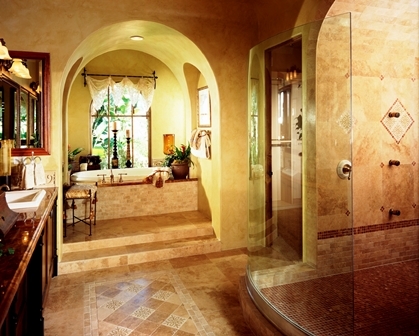 All our residential construction and design work is professional, dependable and affordable. Although our team does not do clean-up work (such as water removal), we can restore your home to original beauty after your cleaning crew leaves. Let us take away much of your stress after any home disaster. Some construction can be stressful for home owners and contractors alike. But our Dallas TX residential building pros have the unique ability to transform even the toughest challenges into amazing results. We've made our name in Dallas/Fort Worth by delivering fantastic homes that perfectly match the client's personality and lifestyle. We'll expand your outdated home and help you make a smooth transition to living in a shiny new showplace. We also specialize in restoring historic homes to exact specifications to meet the needs of any preservation effort. For more information about residential construction, contact us online or call (972) 542-6959.